How do farmers find time to keep good records, and how do they use those records to make business decisions? Farm business presenters at CISA’s 2013 workshop series on financial recordkeeping and business decision making provided valuable insight into how they track information, figure out what’s working and what’s not, and make decisions about their farms. Several farm presenters have created written statements that describe their goals and priorities for the farm business. These might include information about crops, markets, environmental and community impacts, and quality of life. Missy Bahret of Old Friends Farm in Amherst uses tools from Holistic Management. “Reading our holistic goal makes me feel jazzed and thrilled every time,” Missy says. Missy and business partner Casey Steinberg use their holistic goal to check major farm decisions, and it’s helped them feel more in control of the farm business. Ryan and Sarah Voiland of Red Fire Farm in Montague and Granby review their farm mission statement each year, and share it with all staff, but they are proud that the core of the statement has remained unchanged for more than ten years as the farm business has grown significantly. Dan Kaplan of Brookfield Farm in Amherst sees his farm as a training ground for new farmers, and expects his staff to move on after a year or two on the farm. As a result, it’s important that each new staff member understands and supports the farm plan and priorities, and Dan explains those to each new hire each year. Dan gives his staff members a 50-page Farm Handbook each year, containing the farm’s goals, budgets, the previous year’s financial reports, farm maps and crop plans. Several farm presenters analyze crops, enterprises, or markets on their farm using tools gained from workshops, or Richard Wiswall’s book, The Organic Farmer’s Business Handbook. Accurate analysis requires understanding the costs of producing a particular product, including reasonable estimates of the time it takes you or your employees to grow, harvest, and market the product. Presenters offered several tips for gaining this information. Most important, perhaps, is to strive for a “good enough” understanding, rather than to track every detail perfectly. Wiswall reminds business owners to worry about the larger costs first, rather than spending time tracking down or tweaking smaller expenses. During the growing season, Richard records information in a notebook; in the winter, he enters it into spreadsheets for analysis. If he doesn’t know how long something takes him, he’ll mime the activity in the winter—pretending to plant garlic on his living room floor, for example—in order to get an estimate. On Old Friends Farm, one long-term employee is the official time tracker. The farm owners pick a couple of crops to track each year, and the employee records the information. The time required for tracking has fallen as the employee has learned how to do it more efficiently. On Sidehill Farm, the owners and employees each fill out a daily spreadsheet broken down by task. The farm’s owners, Paul Lacinski and Amy Klippenstein, use that information to evaluate equipment purchases. Knowing how much time they spend on each task allows them to evaluate the savings offered by new equipment. Laura Meister of Farm Girl Farm in Sheffield sees her investment in buying and using QuickBooks as a gift to her future self. Entering information about sales and expenses while it is fresh means she’ll have it later when she’s planning for the next season. In addition, Laura notes that the information stored in QuickBooks can be used in some untraditional ways. For example, she uses sales data from previous years to estimate what she will have available on a given date in the coming year. During the growing season, Laura hires a bookkeeper to do data entry. Employees play different roles on different farms, and farm owners create management systems to support their goals for employees. Sidehill Farm’s owners made a decision to prioritize employee longevity by giving regular raises to employees. They’ve also set a goal for paid vacations for owners and staff. Although they haven’t yet reached that goal, they see their investment in staff as a route to achieving more balance in their own lives. At Red Fire Farm, Ryan and Sarah have responded to growth and employee turnover by creating management positions and thorough written job descriptions. “If each person understands what they are responsible for, and what the people they interact with are responsible for, fewer balls get dropped,” Sarah notes. At Brookfield Farm, Dan Kaplan’s goal is to provide solid training to his employees, most of whom move on to other farms or activities after a year or two. Daily work goals are communicated in a brief meeting, with little time for input from employees. Each week, however, Dan leads a crew farm tour, discussing the status of each crop and identifying areas of concern. Employees can also provide feedback at regularly scheduled evaluations, and in the fall Dan holds periodic “seminar” type training sessions on farm-business management. When he began tracking and analyzing production costs for each crop on his own farm, Richard Wiswall first used the results to drop his most unprofitable crops. Next, he analyzed the budgets of the remaining crops to understand the potential to reduce expenses or increase income. At Old Friends Farm, Missy Bahret and Casey Steinberg take a similar approach to assessing their crops. Each winter, they work with their staff to identify the weak link for each crop on the farm. They focus their analysis by deciding whether the weak link occurs at the production stage, the harvest and handling stage, or the marketing stage, and then prioritize solutions to the weaknesses they’ve identified. The owners at Red Fire Farm also hold end-of-season meetings with their staff to identify successes and weaknesses. When they decide to make a major change, Ryan and Sarah prepare several different projections using different sales and yield figures, allowing them to see the impact in both best- and worst-case situations. Doing this analysis allows farm business owners to develop rules of thumb and business goals that help with both day-to-day and year-to-year decision making. At Northampton’s Town Farm, owners Oona Coy and Ben James have determined how much money they need to make at a farmers’ market in order to cover their costs and achieve the rate of profit that they need to meet yearly projections. In late winter, they don’t always have the volume to meet that goal, so they forego the market. In the following year, they tweak their planting and marketing schedule to ensure that they’ll have the volume that they need for every market that they plan to attend. Likewise, they have a dollars-per-acre goal and use it evaluate each crop. If the crop does not bring in that much money per acre, can they make a change? If not, why are they growing that crop? Farm Girl Farm’s Laura Meister uses her yearly budgets for a similar purpose. Each winter, she creates a budget using a QuickBooks feature that creates a budget from the previous year’s income and expenses, and then modifies it to reflect anticipated changes. During the growing season, she regularly reviews her weekly sales goals for each crop and each market. If she’s not meeting her goal, then she can make a change mid-season. Farmers gather information from a wide variety of sources before making big decisions. Ryan and Sarah Voiland hired a farm consultant to review their business and help them identify risks and priorities, but they also relied on family members who were willing to think carefully and in depth about the business. Paul Lacinski and Amy Klippenstein at Sidehill Farm have an informal advisory board and can call upon its members for their particular expertise. Often, farmers turn to other farmers outside of their sales area for advice and expertise because of the complications of taking advice from your competitors. Farm business owners also do their own research and careful analysis. Paul Lacinski made yogurt in his kitchen for three years, keeping careful records, before he built a processing plant big enough for commercial-scale production. Red Fire Farm’s owners tested year-round demand for their products for several years before making a significant investment in winter-storage infrastructure. 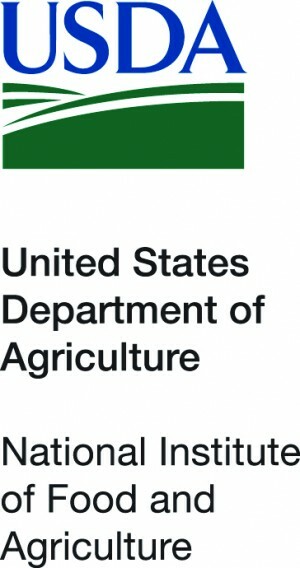 Additionally, before making the decision to farm on two parcels separated by 45 minutes of travel time, they wrote a detailed transition plan that included what percentage of each of their crops would be grown in each location, which pieces of equipment would need to be duplicated, and how they would staff the two centers of operation and move produce between them. Farmers also refer back to their mission statements or farm goals when making major decisions. Old Friends Farm dropped a major Boston farmers’ market several years ago. Although the income was important to the business, the long and stressful travel day on a Friday was impacting quality of life for the farm’s owners and employees. Recognizing their farm goal of “enjoy[ing] all parts of life,” they spent a year gathering data on how to offset the income loss and other benefits of this market, and they’ve had no regrets about the decision to drop it.